Unsure if a business short-term loan is the right step, or if a credit card, quick loan or line of credit might be better? Our savvy bankers can help. Fast approvals. If a business needs to borrow fast cash for a short time period (lasting three months to three years), a short-term business loan might be the solution. It can be extremely useful for taking advantage of opportunities, such as an inventory discount or seasonal demand, or handling unexpected obstacles (such as slow accounts receivables). For example, if a retail business needs funding to purchase holiday inventory, it doesn’t want to be paying for that inventory two years later – it wants to pay for it using sales revenue immediately after the holiday rush is over. A short-term loan might be the solution. Talk to one of our bankers today to explore your short-term cash flow needs. We’ll help you determine if this is the right step, or if a credit card, business quick loan or traditional line of credit might be more appropriate. 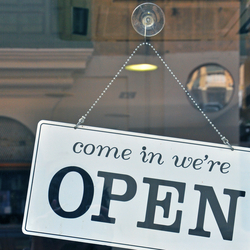 We’re invested in the long-term financial health of your business, not a quick fix. 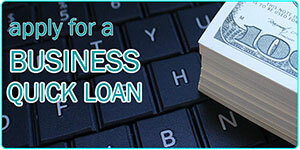 Interested in a fast business line of credit? Our online quick loan might be perfect!